بیاتی چالشتری, محمد حسین, ملک زاده, کرامت, جعفری, محمد, پورموید, علیرضا. (1396). بررسی پارامترهای بهینه موثر بر صفحه ارتوتروپیک حاوی گشودگی پنج ضلعی با استفاده از الگوریتم بهینه سازی رقابت استعماری. علوم و فناوری کامپوزیت, 4(2), 161-170. محمد حسین بیاتی چالشتری; کرامت ملک زاده; محمد جعفری; علیرضا پورموید. "بررسی پارامترهای بهینه موثر بر صفحه ارتوتروپیک حاوی گشودگی پنج ضلعی با استفاده از الگوریتم بهینه سازی رقابت استعماری". علوم و فناوری کامپوزیت, 4, 2, 1396, 161-170. بیاتی چالشتری, محمد حسین, ملک زاده, کرامت, جعفری, محمد, پورموید, علیرضا. (1396). 'بررسی پارامترهای بهینه موثر بر صفحه ارتوتروپیک حاوی گشودگی پنج ضلعی با استفاده از الگوریتم بهینه سازی رقابت استعماری', علوم و فناوری کامپوزیت, 4(2), pp. 161-170. بیاتی چالشتری, محمد حسین, ملک زاده, کرامت, جعفری, محمد, پورموید, علیرضا. بررسی پارامترهای بهینه موثر بر صفحه ارتوتروپیک حاوی گشودگی پنج ضلعی با استفاده از الگوریتم بهینه سازی رقابت استعماری. علوم و فناوری کامپوزیت, 1396; 4(2): 161-170. در این مقاله، مقادیر بهینه­ی پارامترهای مؤثر بر توزیع تنش اطراف گشودگی پنج ضلعی واقع در صفحه ارتوتروپیک تحلیل و بررسی می‌شوند. برای تعیین پارامترهای بهینه به‌منظور دست‌یابی به کمترین مقدار تنش در اطراف گشودگی از الگوریتم بهینه‌سازی رقابت استعماری استفاده شده است. الگوریتم رقابت استعماری روشی در حوزه محاسبات تکاملی است که به یافتن پاسخ بهینه مسائل می‌پردازد. این الگوریتم با تقلید از روند تکامل اجتماعی، اقتصادی و سیاسی کشورها و با مدل­سازی ریاضی بخش­هایی از این فرآیند، عملگرهایی را در قالب منظم به‌صورت الگوریتم ارائه می‌دهد که می‌توانند به حل مسائل پیچیده بهینه‌سازی کمک کنند. پایه‌های اصلی این الگوریتم را سیاست هم‌سان‌سازی، رقابت استعماری و انقلاب تشکیل می‌دهند. در واقع این الگوریتم جواب­های مسئله‌ی بهینه‌سازی را در قالب کشورها نگریسته و سعی می‌کند در طی فرآیندی تکرار شونده این جواب‌ها را رفته رفته بهبود داده و در نهایت به جواب بهینه مسئله برساند. روش استفاده شده در این مقاله، بسط روش تحلیلی است که برای گشودگی دایروی و بیضوی توسط لخنیتسکی انجام شده است. متغیّرهای طراحی در این پژوهش شامل زاویه الیاف، زاویه­ی بار، شعاع انحنای گوشه گشودگی، زاویه چرخش گشودگی و در نهایت جنس صفحه می‌باشد. نتایج حاصل شده از الگوریتم بهینه‌سازی رقابت استعماری بیانگر مناسب بودن این روش در بهینه‌سازی صفحات ارتوتروپیک می‌باشد. برای اثبات درستی نتایج، از حل عددی اجزای محدود استفاده شده است. نتایج نشان می‌دهند با انتخاب مناسب پارامترهای بهینه می‌توان مقدار تنش اطراف گشودگی را به‌میزان قابل توجهی کاهش داد. One of the designers concerns is structural failure as a result of stress concentration in the geometrical discontinuities. Understanding the effective parameters on stress concentration and proper selection of these parameters enables the designer to achieve a reliable design. In the analysis of perforated orthotropic plate, the effective parameters on stress distribution around cutouts include fiber angle, load angle, curvature radius of the corner of the cutout, rotation angle of the cutout and at last material of the plate. This paper tries to examine effective parameters on stress analysis of infinite orthotropic plate with central pentagonal cutout with imperialist competitive algorithm (ICA) introduced the optimum parameters to achieve the least amount of stress around the cutout. Like other evolutionary algorithms, ICA is becoming an important tool for optimization and other complex problem solving. The results reported in this review provide evidence of performance achievement of the ICA in terms of both computing time and quality of solution. In this paper, an analytical method has been used to Lekhnitskii theory for circular and elliptical cutouts. Finite element numerical solution is employed to examine the results of present analytical solution. Overlap of the results of the two methods confirms the validity of the presented solution. Results show that by selecting the aforementioned parameters properly, less amounts of stress could be achieved around the cutout leading to an increase in load-bearing capacity of the structure. Muskhelishvili, N.I., “Some Basic Problems of the Mathematical Theory of Elasticity,” Second ed., Noordhooff, Netherlands, pp. 361-366, 1962. Savin, G.N., “Stress Concentration around Holes,” Pergamon Press, New York, pp. 1-10, 1961. Lekhnitskii, S.G., “Anisotropic plates,” Second ed., Gordon and Breach Science, New York, pp. 157-180, 1968. Hedgepth, J. and Van-Dyke, P., “Local Stress Concentration in Imperfect Filamentary Composite Materials,” Journal Composite Materials, Vol. 1, pp. 294-309, 1967. Hedgepth, J., and Van-Dyke, P., “Stress Concentration from Single Filament Failure in Composite Materials,” Textile Research Journal, Vol. 39, pp. 618-626, 1969. Franclin, H.G., “Hole Stress Concentration in Filamentary Structures,” Fibers Science and Technology, Vol. 2, pp. 111-127, 1970. Peterson, R.E., “Stress Concentration Factors,” John Wiley & Sons, New York, 1974. Tan, S.C., “Finite-Width Correction Factors for Anisotropic Plate Containing a Central Opening,” Journal of Composite Materials, Vol. 22, pp. 321-327, 1988. Fukuda, H., and Chou, T.W., “Stress Concentration in a Hybrid Composite Sheet,” Journal of Applied Mechanic, Vol. 50, pp. 845-848, 1983. Pilkey, W.D., “Stress Concentration Factors,” Second ed., John Wiley & Sons, New York, 1997. Neuber, H., “On the Effect of Stress Concentration in Cosserat Continua,” Verlag Berlin Heidelberg, Springer, 1968. Daoust, J. and Hoa, S.V., “An Analytical Solution for Anisotropic Plates Containing Triangular Holes,” Composite Structures, Vol. 2, No. 19, pp. 107-130, 1991. Torabi, A.R, and Amininejad, S.H., “Experimental And Theoretical Fracture Analysis Of Quasi-Brittle Polymer Components Containing V-Notches With End Holes Under Combined Tensile-Shear Loading”, In Persian, Journal of Science and Technology of Composites, Vol. 2, No. 2, pp. 41-54, 2015. Hufenbach, W. Gottwald, R. Gruber, B. Lepper, M. and Zhou, B., “Stress Concentration Analysis of Thick-Walled Laminate Composites With a Loaded Circular Cut-Out By Using A First-Order Shear Deformation Theory,” Journal of Composites Science and Technology, Vol. 68, pp. 2238–2244, 2008. Rezaeepazhand, J. and Jafari, M., “Stress Analysis of Perforated Composite Plates,” Composite Structures, Vol. 71, pp. 463-468, 2005. Rezaeepazhand, J. and Jafari, M., “Stress Concentration in Composite Plates With Special Shaped Cutout,” 12th European Conference on Composite Materials, 29th August-1st September, 2006. Rezaeepazhand, J. and Jafari, M., “Stress Analysis of Composite Plates with Non Circular Cut Out,” Key Engineering Materials, Vol. 385-387, pp. 365-368, 2008. Rezaeepazhand, J. and Jafari, M., “Stress Concentration in Metallic Plates with Special Shaped Cutout,” International Journal of Mechanical Sciences, Vol. 52, pp. 96-102, 2010. Darwish, F. Gharaibeh, M. and Tashtoush, G., “A Modified Equation for the Stress Concentration Factor in Countersunk Holes,” Journal of Mechanics A: Solids, Vol. 36, pp. 94-103, 2012. Sivakumar, K. Iyengar, N.G.R. and Deb, K., “Optimum Design of Laminated Composite Plates with Cutout Using a Genetic Algorithm,” Composite Structures, Vol. 42, pp. 265-279, 1998. Cho, H.K. and Rowlands, RE., “Reducing Tensile Stress Concentration in Perforated Hybrid Laminate by Genetic Algorithm,” Composites Science and Technology, Vol. 67, pp. 2877-2883, 2007. Chang, N. Wang, W. Yang, W. and Wang, J., “Ply Stacking Sequence Optimization of Composite Laminate by Permutation Discrete Particle Swarm Optimization,” Structural and Multidisciplinary Optimization, Vol. 41, pp. 179-187, 2010. Hudson, C. Carruthers, J. and Robinson, M., “Multiple Objective Optimization of Composite Sandwich Structures for Rail Vehicle Floor Panels,” Composite Structures, Vol. 92, No. 9, pp. 2077‐2082, 2010. Lemanh, T. and Lee, J., “Stacking Sequence Optimization for Maximum Strengths of Laminated Composite Plates Using Genetic Algorithm And Isogeometric Analysis,” Composite Structures, Vol. 116, pp. 357-363, 2014. Alonso, M.G. and Duysinx, P., “Particle Swarm Optimization (PSO): An Alternative Method for Composite Optimization,” 10th World Congress on Structural and Multidisciplinary Optimization, Orlando, Florida, USA, May 19-24, 2013. Yuanfu, T. Jianqiao, C. and Wenjie, P., “Probabilistic Optimization of Laminated Composites Considering Both Ply Failure and Delamination Based on PSO and FEM,” Tsinghua Science and Technology, Vol. 14, pp. 89–93, 2009. Chen, J. Yuanfu, T. Rui, G. Qunli, A. and Xiwei, G., “Reliability Design Optimization of Composite Tructures Based on PSO Together With FEA,” Chinese Journal of Aeronautics, Vol. 26, No. 2, pp. 343-349, 2013. Ines Barbosa, C.J. and Maria Amélia, R., “Design of a Laminated Composite Multi-C Structure Subjected to Torsion,” 29th Congress of the International Council of the Aeronautical Sciences, St. Petersburg, Russia, September 7-12, 2014. Atashpaz-Gargari, E. and Lucas, C., “Imperialist Competitive Algorithm: an Algorithm for Optimization Inspired by Imperialist Competition,” IEEE Congress on Evolutionary Computation (CEC 2007), pp. 4661-4667, 2007. Atashpaz-Gargari, E. Hashemzadeh, F. Rajabioun, R. and Lucas, C., “Colonial Competitive Algorithm,” A Novel Approach For PID Controller Design in MIMO Distillation Column Process, International Journal of Intelligent Computing and Cybernetics, Vol. 1, No. 3, pp. 337-355, 2008. Rajabioun, R. Atashpaz-Gargari, E. and Lucas, C., “Colonial Competitive Algorithm As A Tool For Nash Equilibrium Point Achievement,” Lecture Notes in Computer Science, Vol. 5073, pp. 680-695, 2008. Khabbazi, A. Atashpaz-Gargari, E. and Lucas, C., “Imperialist Competitive Algorithm for Minimum bit Error Rate Beam Forming,” International Journal of Bio-Inspired Computation, Vol. 1, No. 2, pp. 125-133, 2009. Atashpaz-Gargari, E. Hashemzade, F. and Lucas, C., “Designing Mimo PID Controller Using Colonial Competitive Algorithm,” Applied To Distillation Column Process, In Proceedings Of IEEE CEC, Within IEEE WCCI, Hong Kong, pp. 1929- 1934, 2008. 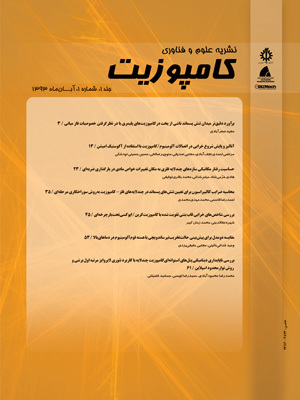 Ayough A. Zandieh M. and Farsijani H., “GA and ICA Approaches to Job Rotation Scheduling Problem: Considering Employees Boredom,” The International Journal of Advanced Manufacturing Technology, 29th August-1st September, 2011. Karimi A. Rezae E. and Shahhosseini M., “Optimization of Heat Transfer in an Air Cooler Equipped with Classic Twisted Tape Inserts using Imperialist Competitive Algorithm,” Journal of Experimental Thermal and Fluid Science, Vol. 12, No. 2, pp. 136-151, 2011.